Buying metal or antique jewelry may be sometimes difficult because of it’s high charges. 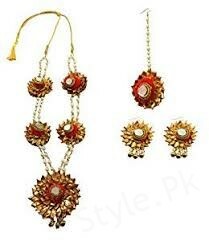 If a girl wants to appear with such type of jewelry in reasonable price accord to fashion. 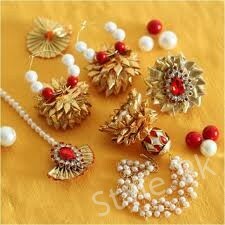 Usually Gota patti jewelery are made of Gota work and to match the jewelry with your dresses is difficult to find. 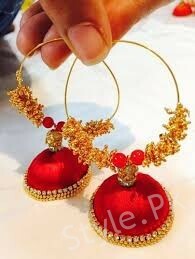 But Nowadays such type of jewelry is available in market in new style with Gota work. 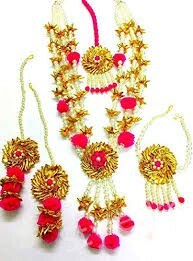 Gota patti jewelry is a perfect for Mayyo function. 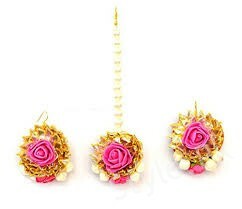 In this image you can check earrings known as BUNDAY are available in every design and color. 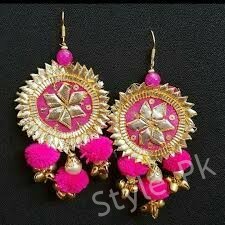 They are adorn with tassels and attractive flowers made with Gota. 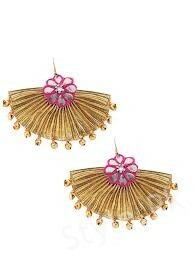 Gota patti jewelry makes your looks stunned and always be a favorite choice for mehendi / mayyo functions. That is affordable for everyone and reusable. 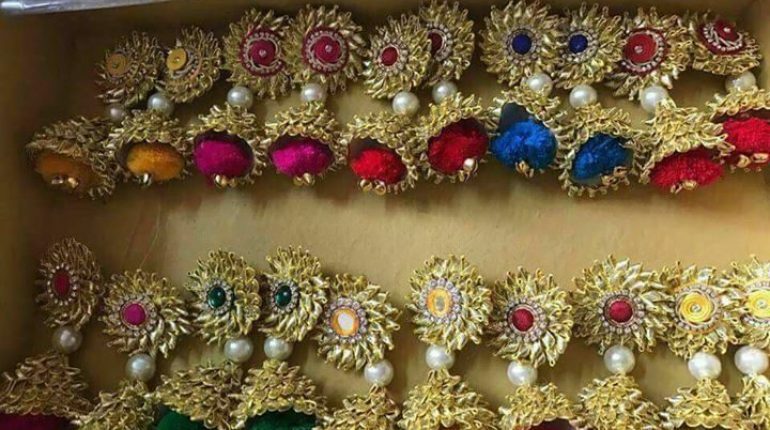 Initially created from the traditional gota embroidery used in clothing, the technique uses thread in silver and golden color, coated with pearls, beads, ghungroos and flowers. 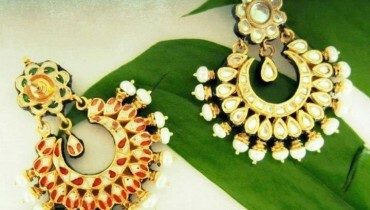 So if you are yet to shop for your ghungroos, then you need to head such jewelry. 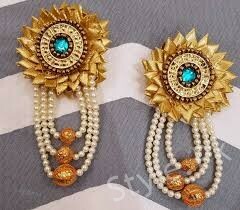 Whether you are looking for statement earrings to go with your lehenga or a simple gota with on it. The ghungroos and sophisticated design is obvious in each of their pieces. Their large ‘Gota Collection’ will make you confuse in selection. 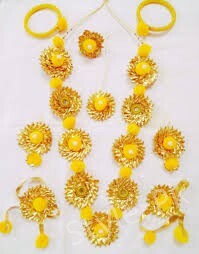 you are looking for a high quality gota jewelery with friendly budget in stock. then Krafted With Happiness would be an ideal choice. From gota bangles to bali / earrings and even statement rings, you surely wouldn’t mind being happily lost in this store. 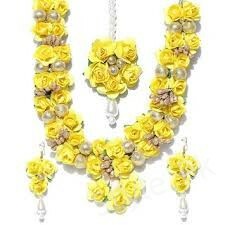 Floral Art has become a sort of a new creativity for not only floral but for jewellery made with gota too. 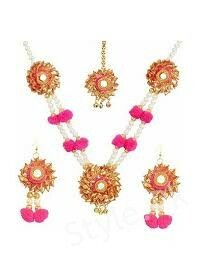 It is the beautifully handcrafted gota jewellery that is inn amongst brides-to-be. 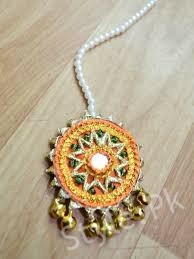 Hand crafted gota jewellery… Well yes, these guys know how to add that prime touch to your gota jewellery. 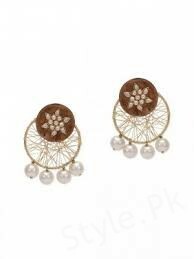 In these earrings beads are used for make your look different and nice. 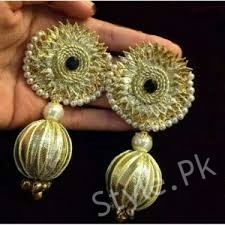 This pair of yellow color earrings will definitely suit for Mayyo bride. 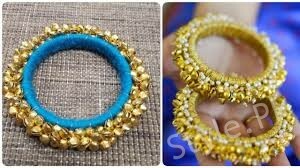 These bangles made with vibrant colors. 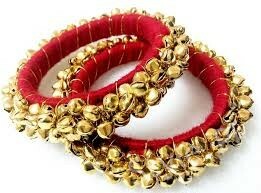 These are designed with ribbon and Gota kinari. Fresh flower jewelry is used for Mayyo bride. 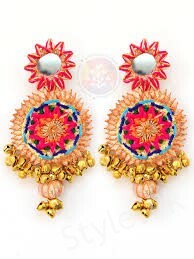 This pair looks so beautiful Gota is also used in it. Golden contrasted with dazzling colors looks glorious. 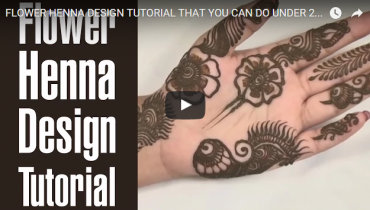 You can easily carry it with mehandi or mayo dresses. Pink color is stylish and trendy at the same time. Gota work ring and earring looks awesome. Bunday with pearl good thing is…these are weightless and cause no pain to your ears. 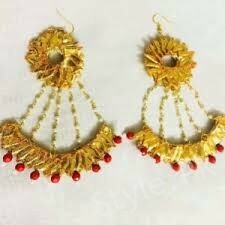 Golden Earrings with mirror are also looks beautiful.